We serve thousands of churches nationwide. They use our church texting service to inform, educate, and inspire. Here’s how some of our customers are using text messaging to drastically increase their weekly attendance. Fire out inspiring messages that encourage the congregation to examine their spiritual growth. Check out this great example. Go out of your way today to show a stranger an act of kindness. Love your neighbor just as you would yourself, and you will be rewarded. Focusing on a certain area of the Bible? Send out reading reminders. This keeps everyone on the same page, and makes for efficient learning. We’re reviewing the book of Genesis this week! Get a headstart, and browse Chapters 1-10. We will be covering as a congregation this Sunday. 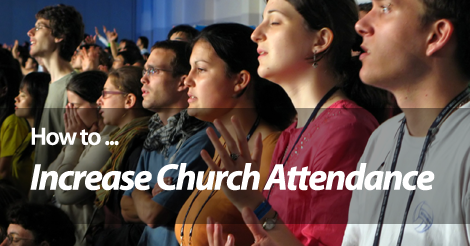 Invite church members to attend weekly events, once a month retreats, and even Sunday service. Sometimes, people just need a little push. Why not provide this via text message? Look at it this way. It doesn’t hurt to ask. Tomorrow is Friendship Sunday! Invite a neighbor, family member, coworker or friend to our 10AM service. Special music provided by our Gospel Choir. When you try church texting, you open the door to more reliable and efficient communication. Our Customer Dashboard is user friendly. Hop in, type your message and simply hit Send. It doesn’t get much easier than that. It’s 2016. Mobile communication is on the rise, and it’s not going anywhere anytime soon. Want to learn more? Give us a ring at 1.800.688.6290 or head over to our pricing page and sign up for a free plan. We have tons of educational resources, designed specifically with churches in mind. If you sign up for a paid plan, our customer education specialist will help you set up an account during your free one on one pro training session.